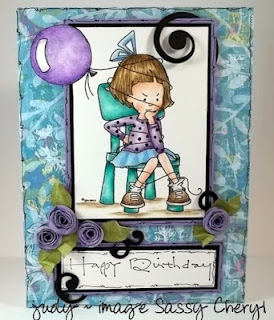 Sassy Cheryl's Digi Stamps Challenge Blog: Challenge #136-Happy Birthday!!!! I think all of those amazing fall creations you all had last week really did the trick on encouraging fall to finally show up. The weather has turned cooler, well, cold to be exact, but it's ok. I'll take it any day over summer. 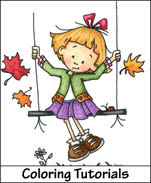 I trust that you all had as much fun last week as we did playing along in the Thinking Fall challenge. You all really outdid yourselves with your amazing cards! And thank you to everyone who participated. It was tons of fun! So. . . .who was the lucky winner of last weeks, Thinking Fall Challenge? That was none other than. . .
With her amazing and sweet little fall card. Chrissy, just email Sassy Cheryl to arrange to receive your two free images and we hope that you'll join in the fun again this week! And what is the challenge for this week? 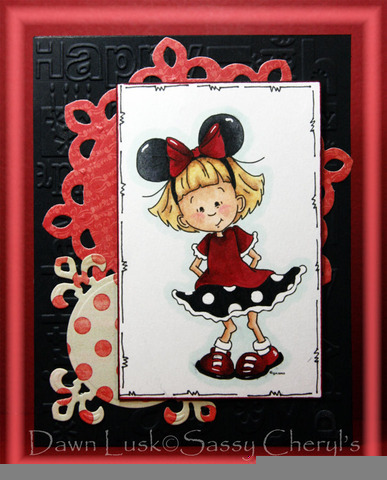 Well, the very sassy Judy is our hostess again this week with another fun and easy challenge. 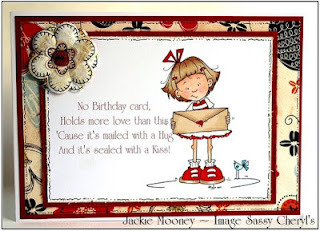 . .
And you know you always need birthday cards! You can NEVER have too many of those!!!! If you need a little inspiration. . .just take a look at what the Sassy and AMAZING design team has to share with us this week. Wow, wow and WOW~!! Aren't they just gorgeous! 'So, are you going to join us this week? 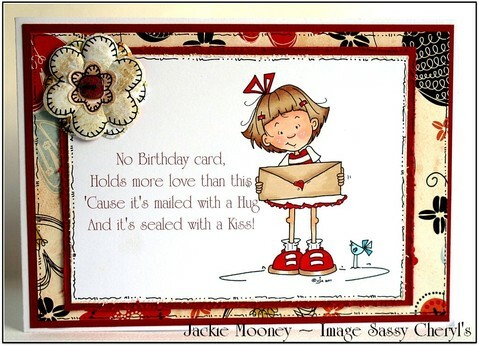 You ALWAYS need birthday cards. . .so come along and play! 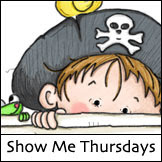 You'll have until 5 PM EST, Monday, October 15th to link your blog or post to be entered in the random drawing for the TWO FREE IMAGES! 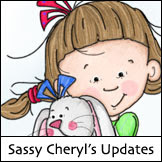 Remember, you aren't required to use a Sassy Cheryl image, but we'd love it if you did!!! 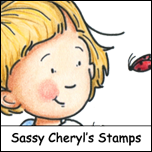 And if you do use a Sassy Cheryl image, you'll be entered in the drawing twice. How great is that. So, come join us in the HAPPY BIRTHDAY challenge this week. Can't wait to see what amazing creation you'll be sharing!! Thank you sooooo much for choosing my little pumpkin family this week..
Congratulations Chrissy! Got ya all taken care of! Thanks for playing last week. . . .hope you'll play again this week. Ladies. Fabulous cards as always!!!!!!!!!! Such great inspiration. Chrissy, what a fabulous card. Ladies you must have read my mind. Your cards are fantastic. 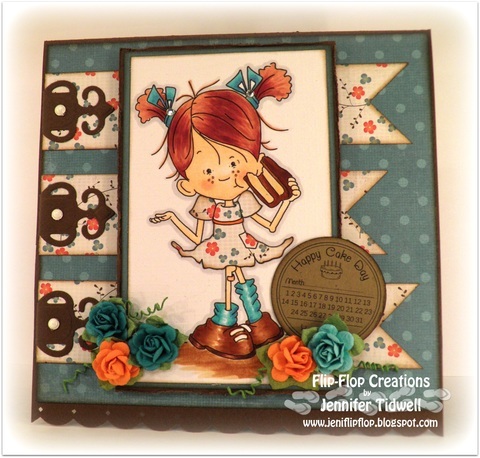 Congrats Chrissy I absolutely love your card so very cute!! Thanks for the challenge. What cute examples from the DT members! Fabulous DT inspiration as always, thank you for another great challenge. This is my first time entering your challenge and the first time I colored a Sassy Cheryl's image. I can't wait to do more of both! Beautiful Design Team cards ladies!